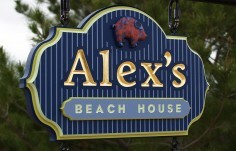 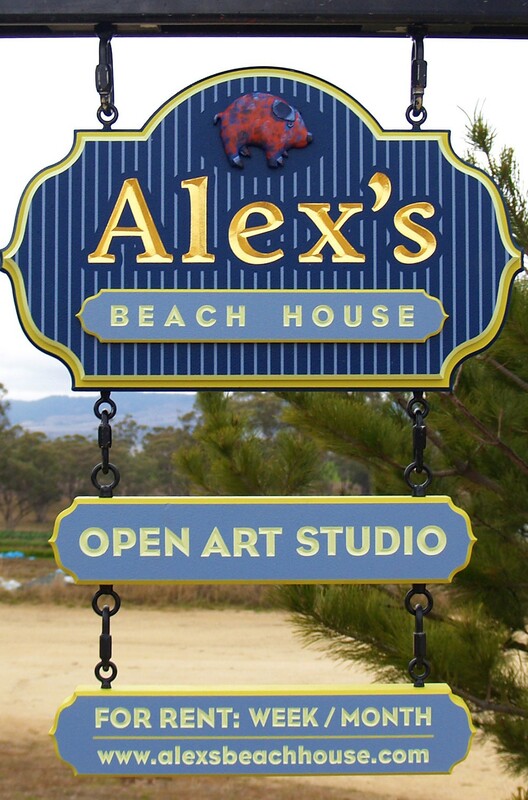 Alex's Beach House is more than a beach house - it is an art studio, and the sign includes a sculpture of the owner's favorite pig artwork. 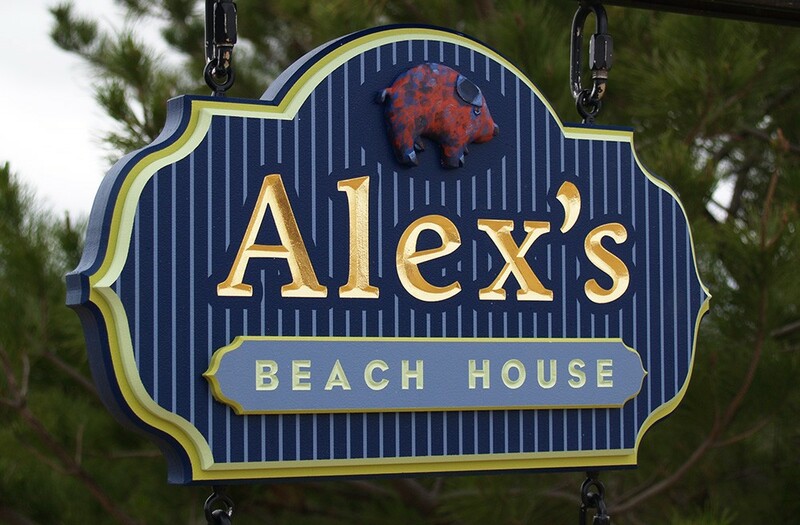 The main text is incise carved and gilded with 23kt gold, while the subtext is carved into an add on plaque. 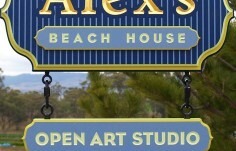 20 " x 12 "